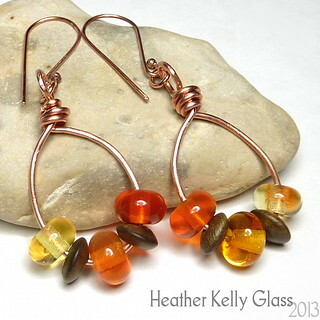 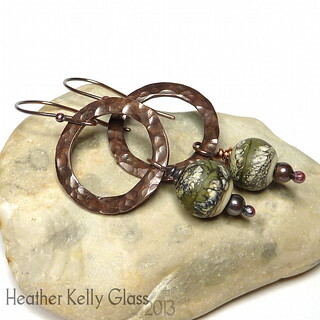 These earrings use chunkier copper wire and some of my lampwork spacers. 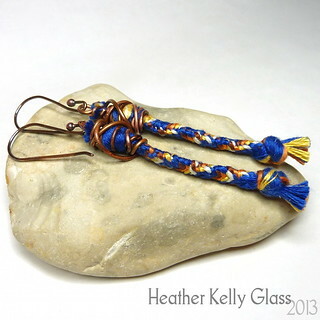 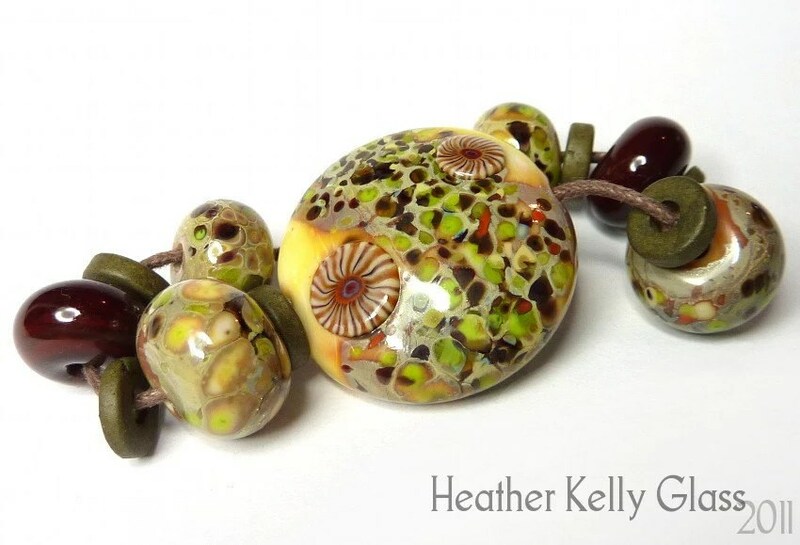 I used some lampwork spacers I had that were variously-struck shades of orange. 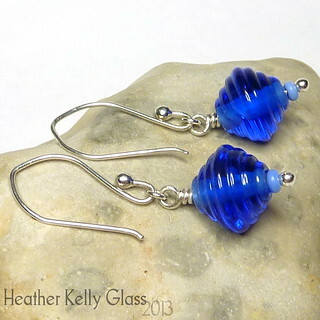 They’re spaced out by little wooden rondelles. 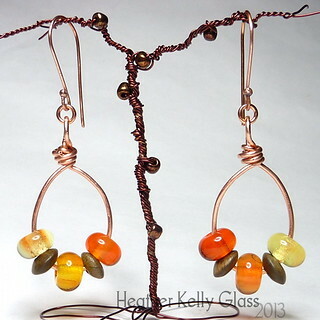 I wire-wrapped the frames in copper wire, double-wrapped the tops and added copper earwires.